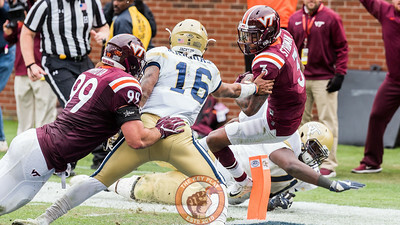 Virginia Tech lost at Georgia Tech 22-28. 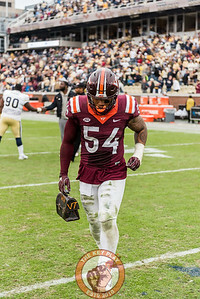 Photos by Cory Hancock. 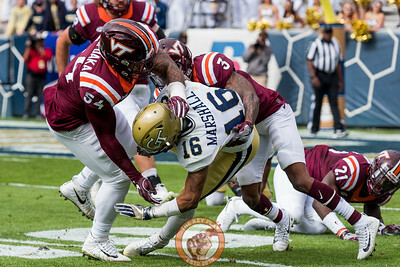 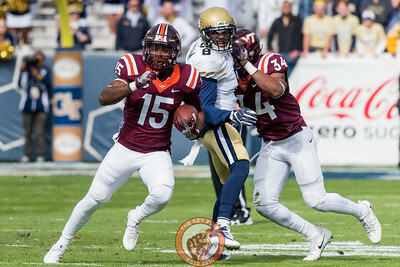 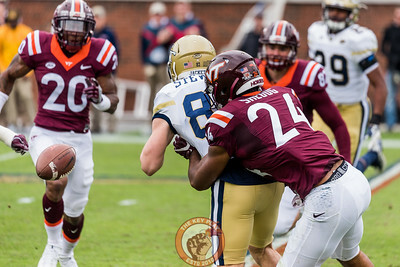 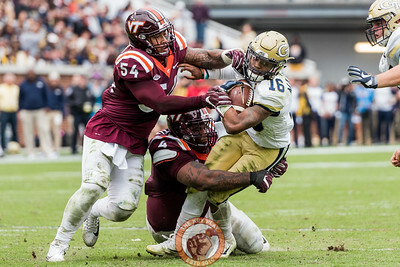 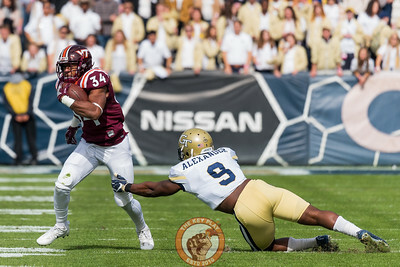 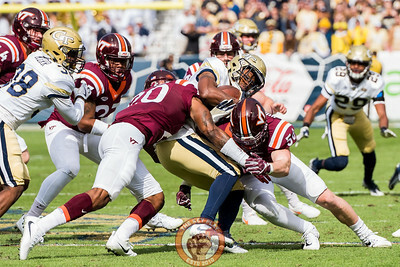 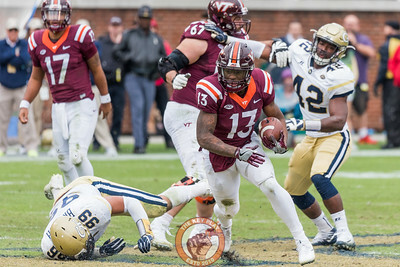 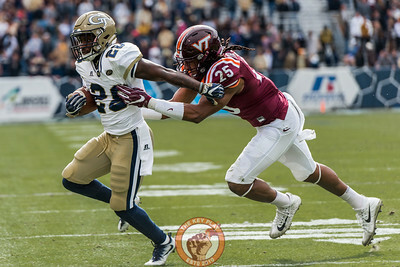 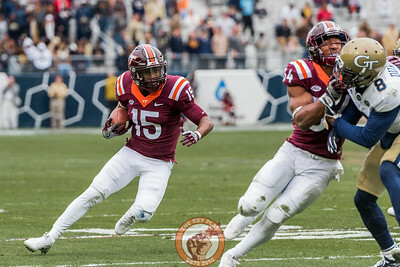 Greg Stroman (3) is tackled into the end zone after an interception in Saturday’s matchup between Virginia Tech and Georgia Tech, Saturday, Nov. 11, 2017. 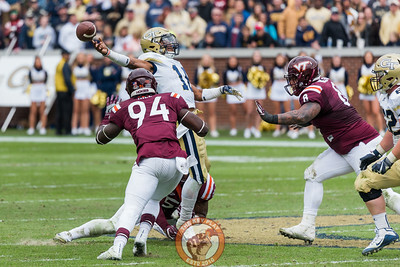 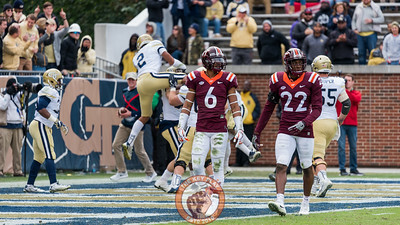 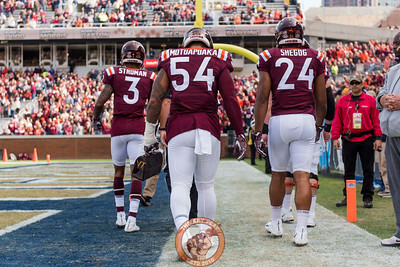 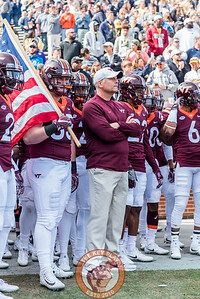 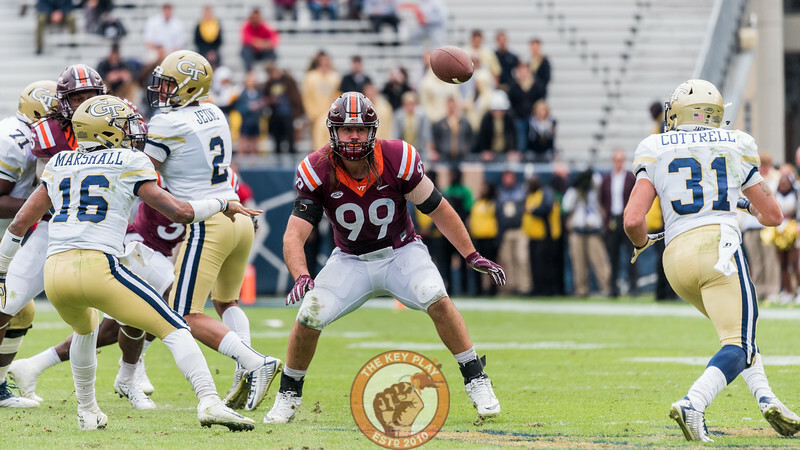 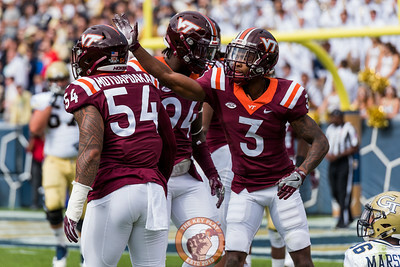 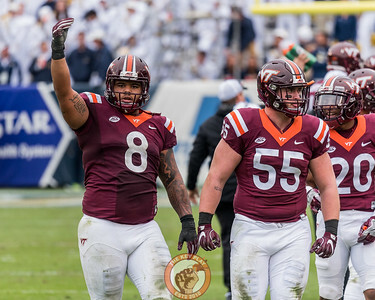 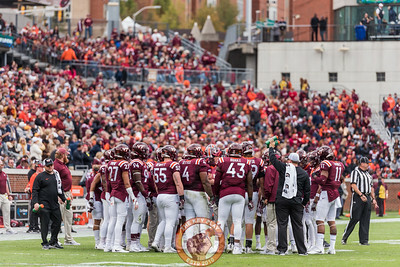 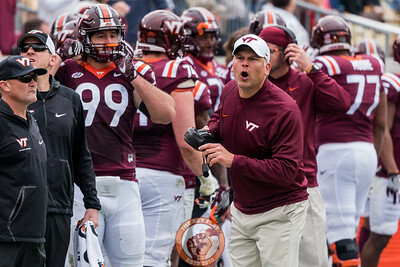 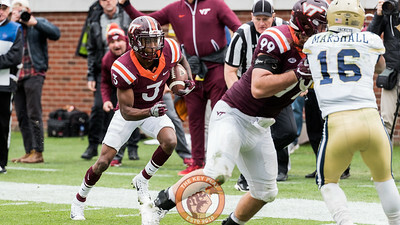 (Special by Cory Hancock) The interception gave the Hokies the lead, but proved to not be enough. 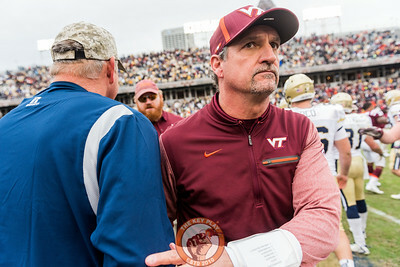 Defensive Coordinator Bud Foster shakes hands with Georgia Tech staff after Saturday’s matchup between Virginia Tech and Georgia Tech, Saturday, Nov. 11, 2017. 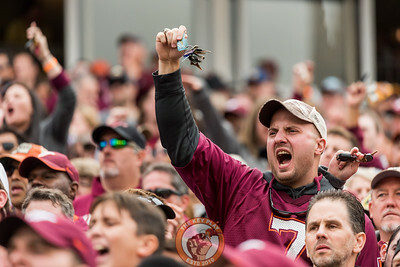 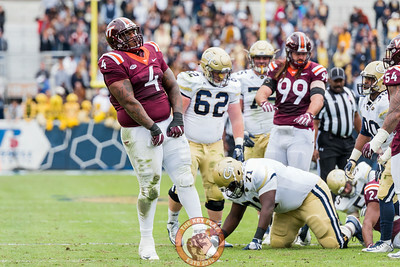 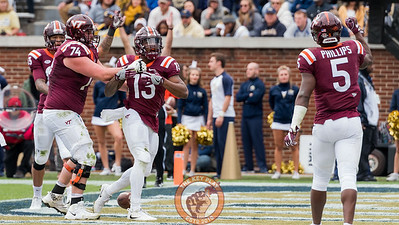 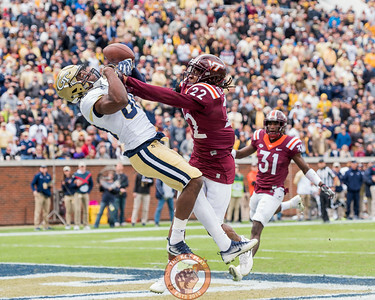 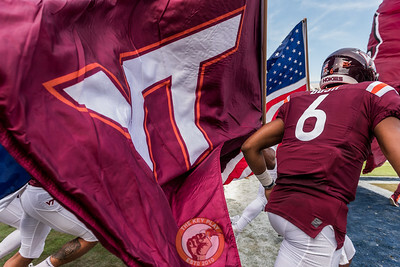 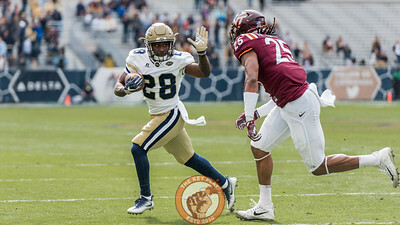 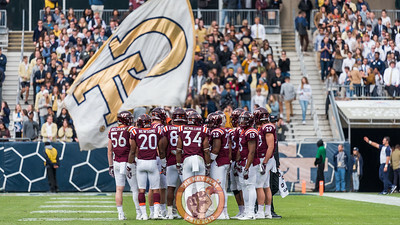 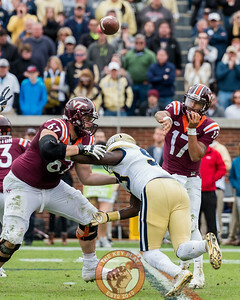 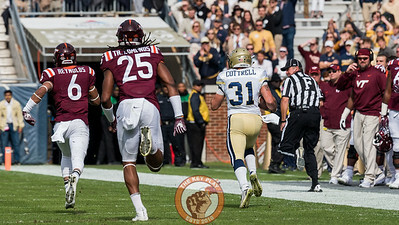 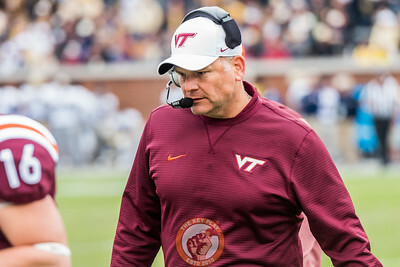 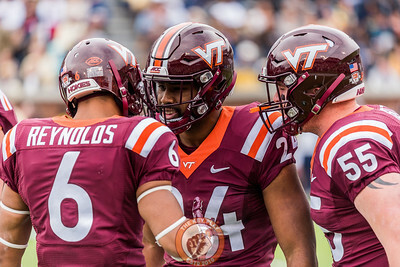 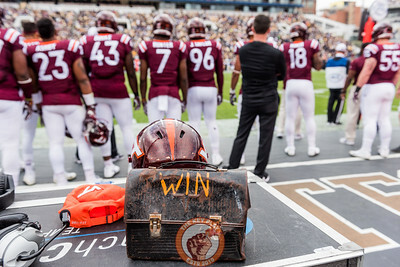 (Special by Cory Hancock) The Hokies fell to the Yellow Jackets 28-22.